You know the old adage, “April showers bring May flowers”? Well, Winter is finally over in the northeast, but the temperatures have been all over the map! With that said, Summer is fast approaching and it’s almost time to hit the shore and catch some sun…or if you’re like me, stay inside and play some video games! It goes without saying, but it’s been non-stop gaming goodness since late last year. Due to my profession, however, it’s been incredibly difficult to stay-on-top of Q1 (January – March) releases. Needless to say, like most gaming enthusiasts within the community, I’ve built quite the backlog. With long overdue titles such as Final Fantasy XV and The Last Guardian finally releasing in Q4 of 2016, there’s been A TON of interesting games begging for my attention. As someone who prefers Japanese-developed games, one could say it’s been a renaissance in-terms of the volume and quality coming out of Japan. We haven’t seen this kind of output from Japan since the Playstation 2 era, and I’d like to think that isn’t a hyperbolic statement! So far this year, we’ve been blessed with such gems like Gravity Rush 2, Yakuza 0, Resident Evil 7, Nioh and The Legend of Zelda: Breath of the Wild. Let’s also not forget the two Kingdom Hearts HD releases and Horizon: Zero Dawn. Too many games, not enough time! If we’re talking big-budget releases, I’ve only managed to finish The Last Guardian and Resident Evil 7 earlier in the year. Until I see The Legend of Zelda: Breath of the Wild to its conclusion, however, Resident Evil 7 is still holding strong as my Game of the Year. I have a lot to say about both titles, but I’ll reserve my judgment for a write-up focused particularly around these monsters-of-a-game. I also played through a handful of smaller titles, such as Sumo Digital’s Snake Pass (which I LOVED and also managed to complete 100%) and Yacht Club Game’s Shovel Knight: Specter of Torment campaign (which is now my favorite campaign of the three that are available). Sssnake Passs is good ssstuff! I’m approaching the 70-hour mark in The Legend of Zelda: Breath of the Wild and there’s no end in-sight! I have 50 Shrines discovered & completed (with all treasure chests found so I get that little icon on the map, for OCD-purposes, of course), around 100 Korok Seeds collected and only two Divine Beasts downed. At the moment, I’m currently exploring the world, discovering more Korok Seeds, finishing various sidequests and activating the few remaining towers before moving on with the the main quest. I have a lot more to say about this game, but the scope of Breath of the Wild is far too massive and would require a dedicated post to do the game justice. 50 Shrines, 101 Seeds, 2 Divine Beasts, 70-hours logged…yet there’s so much more to see! Aside from Zelda being my primary Switch game, I’ve been playing various Indy titles in-between my adventures in Hyrule. 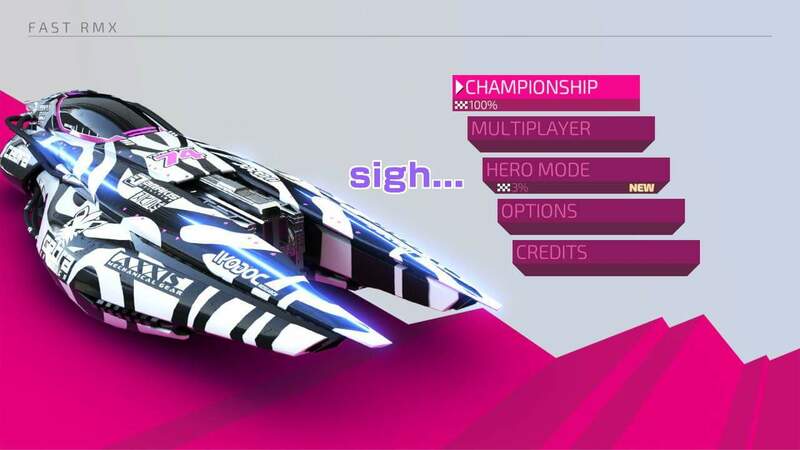 FAST RMX, developed by Shin’en, is a game I begrudgingly continue to play despite my hatred for its ridiculous rubber-banding. I currently have 100% in the Championship mode and I’m slowly making my way through Hero Mode and the new Time Attack (which is honestly the best mode) because I’m a glutton for punishment (or rather, a completionist at heart). While we’re on the topic of racing games, I also picked-up the much anticipated Mario Kart 8 Deluxe, but I haven’t spent a whole lot of time with it yet as I’ve already played the game extensively on the Wii U. …yet I’ll keep playing because I’m a masochist! Graceful Explosion Machine has also been a nice surprise and it’s one of the first major Indy-exclusives for the Nintendo Switch. It’s basically an arcade-shooter (or Shmup) that relies heavily on linking together your ship’s abilities (which you have access to almost immediately after the initial tutorial stages) in order to maintain your multiplier. The more varied your play-style is, the better your score will be. Some have said it’s the “Bayonetta of arcade-shooters” and I don’t entirely disagree with that statement. The game ranks you on your performance at the end of the stage (which I believe are also procedurally generated) and S+ Ranks are the highest rank the player can obtain. This is no easy task, however, as one must string together the entire stage all while not taking damage. 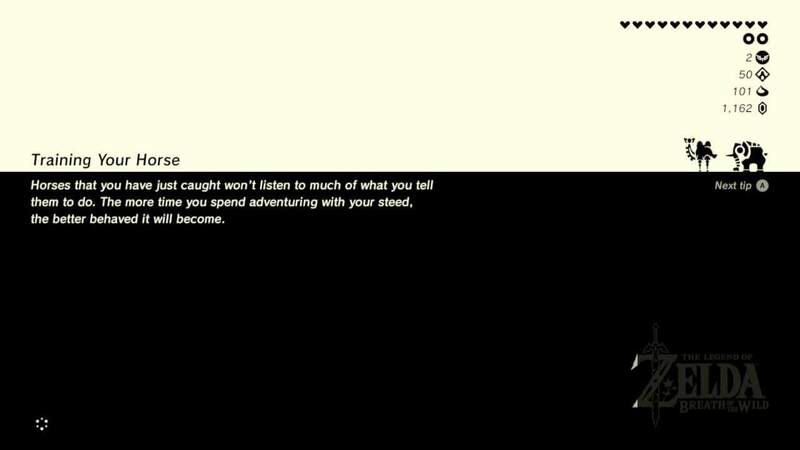 There’s an addictive loop here, for sure, and I find myself always saying, “just one more game…”. S+ ranking my way to success! 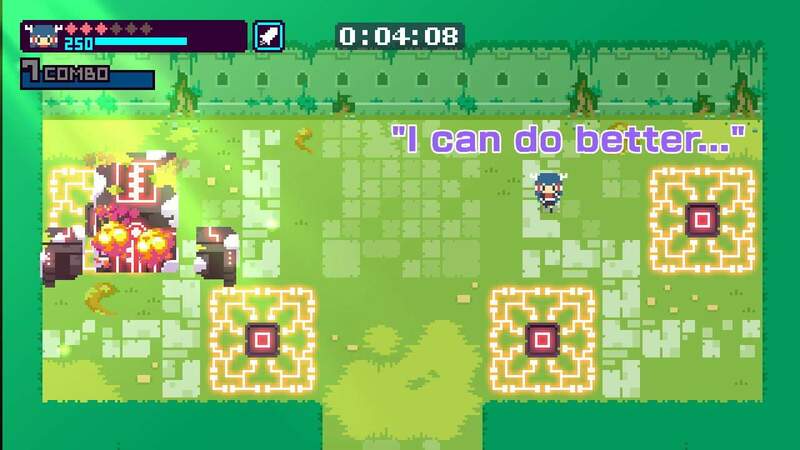 Kamiko is another fun Nintendo Switch exclusive developed by Skipmore, an independent Japanese studio. This game is an extremely short pick-up & play overhead action/adventure game that enforces quick, arcade-like action. There are 3 characters to play as and 4 stages to conquer. The levels are filled with enemies, traps and puzzles. The visual style is nice and the music is great, too. The content is light, but the game is also very cheap ($5), so it’s a nice little distraction if you’re in the mood for a Zelda-lite experience. I’ve only beaten the game with one character, but there’s a few unlockables and in-game trophies to earn depending on how quickly you can complete the game. Can’t really ask for more from a $5 game! Mr. Shifty is an overhead, arcade-like brawler where you take control of some guy who has the ability to shift/warp-around the environment. 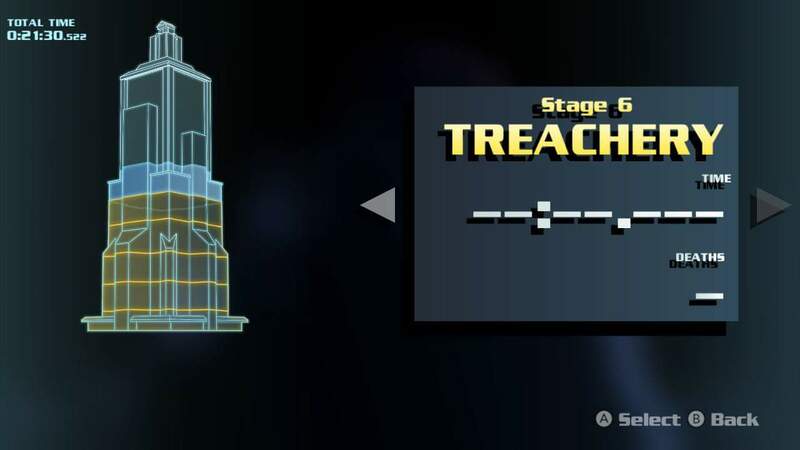 The game takes place in a series of stages within a tower and the objective is to reach the top. Each level is broken-out into various rooms with very clear point A-to-B objectives. Beat-up all the guys in a room to proceed or throw a switch or two and you’re on your way. Mr. Shifty is essentially a slower, less visceral version of Hotline Miami, for those who are familiar. Unfortunately, there are a few performance-related issues, however, the developer has stated that a patch is on the way. 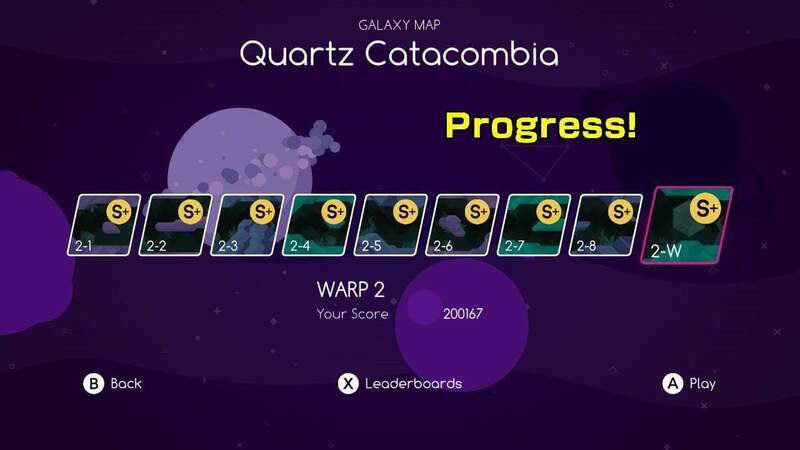 I’m only up to Stage 6, but I’m also going for a “No Death” run of each stage, which is EXTREMELY difficult, but oh-so rewarding! I picked-up Super Bomberman R at launch, but played very little of the game due to my moral obligation to Zelda. 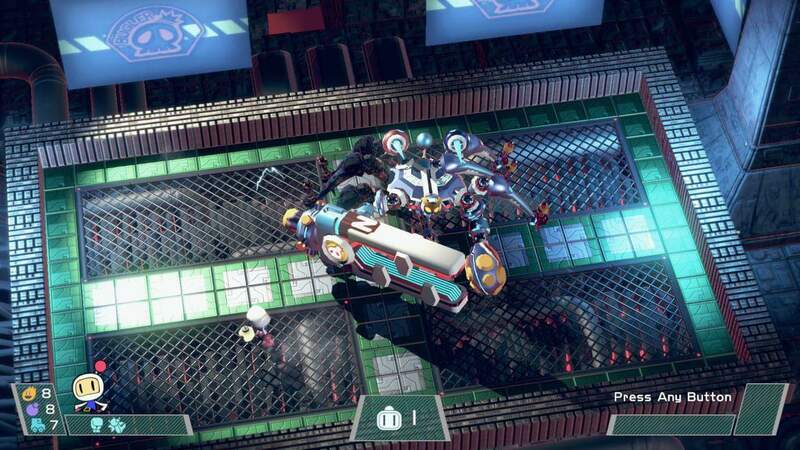 As someone who grew up with Bomberman, I was relatively excited to have a new entry finally make its way back to the consoles. Unfortunately, the game was marred by balance/performance issues at launch. However, the game has been updated since and is apparently a lot better now. Prior to the patch, I only managed to complete the first world on the lowest difficulty setting. I returned to the story mode since and managed to beat the first world on Expert difficult, which felt pretty satisfying. I have tried a few online matches recently as well and the overall experience feels vastly improved. I’m looking forward to diving more into this game once I clear my plate a bit more. Next time on the Switch! There were a few other games I’ve played off & on since launch, but I haven’t invested enough time into each game to say anything meaningful about them. Blaster Master Zero, Wonderboy: the Dragon’s Trap, Thumper, TumbleSeed and Snipperclips will receive-a-talkin’-to next time, though! I’ve been playing Final Fantasy XV off and on since its release and I’ve just now hit the 70-hour mark. I’m currently in Chapter 7 and I have generally been taking my time, exploring the world and completing the various MMO-like sidequests before moving on with the main quest. There’s a lot to like about the game (the visuals and Yoko Shimomura’s music, for example), but there’s also a ton of questionable material (like the various NPCs and the overall narrative, or lack-there-of…). It’s also difficult to properly review/judge this game due to its Early Access-like nature, considering the constant updates it’s been receiving since launch, Final Fantasy XV still doesn’t feel quite finished. This guy’s car broke down on the way to Kohls. I better give him a Repair Kit so he can suddenly become a mechanic! We don’t want him to miss the sale on those Men’s Urban Pipeline Twill Cargo Shorts! 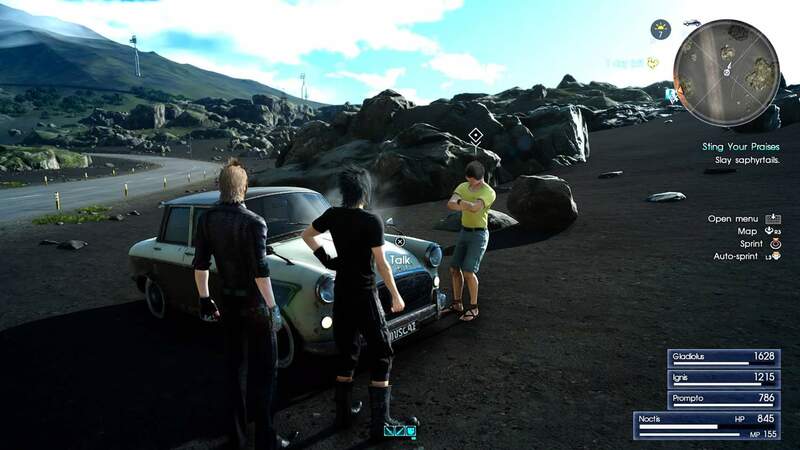 There’s something really off about FFXV, too…and I’m not talking about its fragmented storyline/narrative that expects the player to watch both an anime and a full-featured CGI film to fill-in the gaps, either. Unless I haven’t seen the reason for it yet (or maybe I’m just completely missing the point), the NPCs that reside in the various gas stations, towns and settlements throughout the world feel and look like they are from an entirely different game! I understand life is different outside of the crown-city and the empire, but running around as super-stylized Japanese characters (who resemble a cross between ‘N Sync and the Teenage Mutant Ninja Turtles), interacting with what appear to be middle-aged men dressed to go shopping at Home Depot, all just feels very, very strange. While I generally prefer to play and focus on singleplayer games, I’ve sort of been bitten by the multiplayer bug. I haven’t felt too compelled to play online competitive multiplayer games since the original Gears of War on the Xbox 360. I played a decent amount of the Ultimate Edition on Xbox One, but the original passion wasn’t there and the fire faded quickly. With that said, I discovered a new online gaming group this year and I have made some great new friends in the process. Since then, I’ve gotten my feet wet with Destiny, Tom Clancy’s: the Division, Overwatch and Gauntlet: Slayer Edition. While I’ve clearly missed the boat on Destiny, it’s apparently never too late to become a Guardian. I picked up the collection late last year and played it for about an hour or so initially. With the release of Destiny 2 fast approaching, I’ve finally returned to the original game in a last-ditch effort to join the fun. I’m currently Level 34 with a Light-level of about 160 and I’ve finally finished the vanilla content. I decided against using the Level 40 boost/DLC code that came with the collection because I wanted to experience the natural character progression from the start. My friends tell me the game has changed A LOT, too. Reaching Level 40 and obtaining a high Light-level is apparently way easier than it’s ever been and that’s clearly evident from my experience. “So, what did I just experience?” says the guardian on the right. “There’s no time to explain. Hurry to the next game, Guardian!” yells the cloaked-one the left. Early-game Destiny (post-patches/updates, of course) feels relatively rewarding and is paced very well, too. Whether you’re tackling the main quest, working towards bounties or farting around in the Crucible, you’re always a moment away from gaining a new level, learning a cool ability or obtaining a better piece of gear. The addictive loop is front & center and it’s further amplified by the satisfying gun-play Bungie’s known for. I cannot stress how important character/enemy feedback is and much like their former flagship franchise, Halo, Destiny nails it in the “oh, man, this-feels-sooo-good!” department. Whether you’re popping-off the head of a Cabal or reloading your rockets in-between a duel to the death, the moment-to-moment gameplay feels tight, focused and extremely polished. All is not well in the vast reaches of space, however. I was warned Destiny had an unfinished, slightly incoherent plot, but that’s being generous. The “story” missions bombard you with names, events and terminology rather quickly, and without a proper in-game lore resource/menu to refer to, one can quickly become overwhelmed. Why Bungie decided to utilize a phone-app for their lore-dump is beyond me. One would think that after all of these years a simple in-game lore menu would have been added, but I suppose the story isn’t much of a priority? Who knows, maybe Destiny 2 will remedy some of these questionable decisions. Regardless, Destiny is fun and I find myself thinking about the game when I’m not playing it, so Bungie must be doing something right! I haven’t touched a Ubisoft game in years, but my friends convinced me to pick-up Tom Clancy’s: The Division (plus the Gold edition was on sale and heavily discounted, so I couldn’t resist). My first impressions were generally positive. The game looks nice and performs rather well on the PS4. The setting is ironically very charming and nostalgic-feeling, despite the fact that the game takes place in New York City, post some ridiculous-outbreak called the “Dollar Flu”. The attention to detail in the environment is very much appreciated, too. Footprints in the snow, car doors closing as you take cover up-against them and blinding snow storms help with the immersion. My biggest takeaway, however, is that the game almost immediately reminded me of IO Interactive’s Freedom Fighters, a 2003 third-person shooter which also happened to take place in an alternate-reality of NYC. Freedom Fighters was one my favorite games from generation 6 and The Division feels like a modern adaptation of that title. In a post Assassin’s Creed world, one would be remiss not to mention the overwhelming “Ubisoft-ness” that’s present in The Division, however. One could argue that Ubisoft games have had a template, so-to-speak. What I mean by this is that most of their games today are cluttered with checklists, progress-bars and collectables. While this isn’t exclusive to Ubisoft’s titles by any means, it’s certainly a stigma they carry. 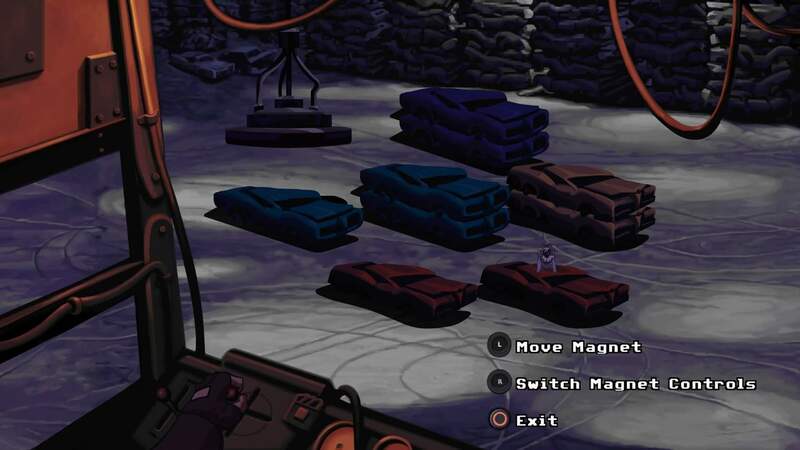 At the start of the game, the player must establish a base of operations. In order to gain a foothold on the snowy streets of NYC, the player must slowly re-build their base by completing missions, liberating key locations and rescuing important people (such as medics, security officers and technicians). 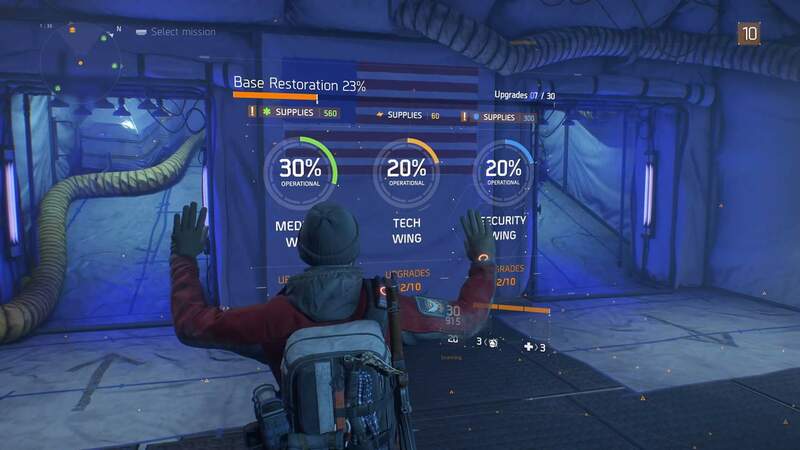 As the base beings to grow, the progress-bars and in-game percentages/fractions begin to creep into the game world as if they were part of the “Dollar Flu” that’s plagued NYC. While I’m not one to generally complain about stat/progress-tracking in games (again, as a completionist, I usually enjoy this stuff), it’s a bit overdone in this instance. Before the player even walks into the main portion of their base, they’re presented with a huge progress-display that’s almost impossible to ignore. Furthermore, as the player explores the individual wings/expansions, progress-menus remain suspended in the air reminding the agent that they’re only 25% towards being completely operational, for example. It’s certainly a way to entice (or take advantage of) players by making them engage in the “just one more game/mission” mentality, but it’s all so overwhelming, nonetheless. Overwatch has been an interesting, yet frustrating experience. Years ago, I swore off the idea of ever investing in a strictly competitive game. When I was younger, I played my fair share of both Team Fortress Classic and Team Fortress 2, but I quickly realized the scene wasn’t for me. Fast forward to today and something compelled me to download Overwatch. I would consider myself a casual Blizzard fan, too, which may be the reason why I’ve gravitated towards this game more so than their other titles. 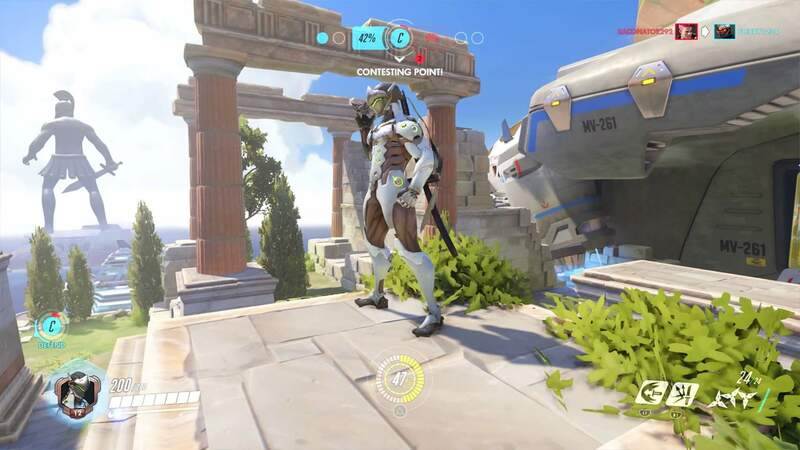 I say this because Overwatch is an extremely casual game at first-glance. Jumping into a match is quick and painless and it’s incredibly easy to pick-up & play. So, how about that Platinum Games/Blizzard character-based action game starring Genji? There appears to be a level of depth and nuance to the many playable characters, however, if one is willing to invest the time. I’ve been “maining” Genji so far, as I’m a boring individual who always picks the Ryu-type character in competitive games. What initially drew me to Genji was his ability to reflect projectiles with his blade. I’ve always been a fan of deflective/parry techniques in action games, so I felt right at home with the cybernetic ninja. “Easy to play, difficult to master” best describes this game as I know I’ve only scratched the surface with its voluminous cast of characters and maps. Finally, there’s Gauntlet: Slayer Edition, which is, well…it’s Gauntlet. The Gauntlet franchise hasn’t received much love over the past decade or so. Remember John Romero’s Gauntlet: Seven Sorrows? Exactly. As someone who grew up with an NES, but somehow missed-out on both the arcade version and home console port, I never had too much nostalgia for the franchise. I was first exposed to the game on N64 with Gauntlet Legends. I have fond memories of playing the game with my brother and a few of our childhood friends, though. Gauntlet: Dark Legacy was a nice follow-up, but I don’t recall playing this pseudo-sequel as much as the N64 game. Gauntlet (which initially launched as a self-titled reboot back in 2014) was developed by Arrowhead Game Studios, mostly known for Helldivers and Magicka. 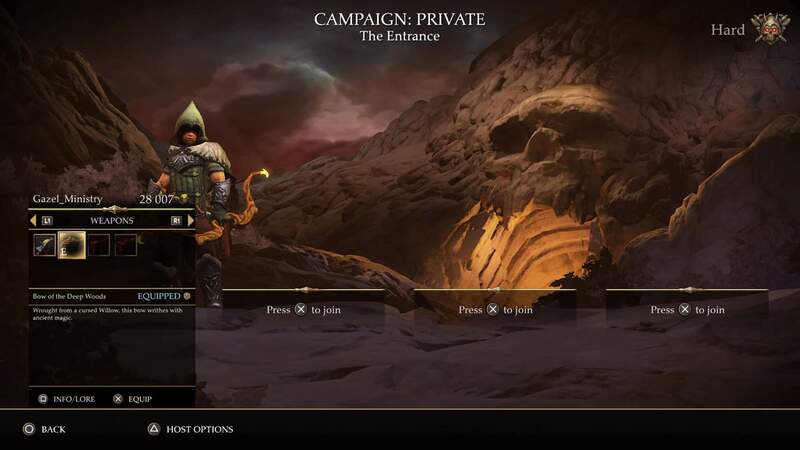 Gauntlet: Slayer Edition is a fun, yet safe approach to the Gauntlet formula. The art-style is in-offensive and invokes a Lord of the Rings-like esthetic, which suits the game well. Like most titles in the franchise, the player chooses a starting character/class and ventures into dungeons to slay beasts in order to gain levels and earn gold. The gold can then be used to purchase new weapon/ability load-outs and other gear/artifacts for passive bonuses. Unfortunately, most equipment/upgrades are extremely expensive and the grind becomes very real, very fast. My biggest take-away from the game, so far, is a bit of an inside joke amongst friends. On the main menu, when the player is selecting their equipment/load-out, there’s a button to display the “lore” for each item. Coming off of Destiny which requires the player to access an external website in order to gain more insight on the story and world, I found this extremely ironic and downright hilarious. 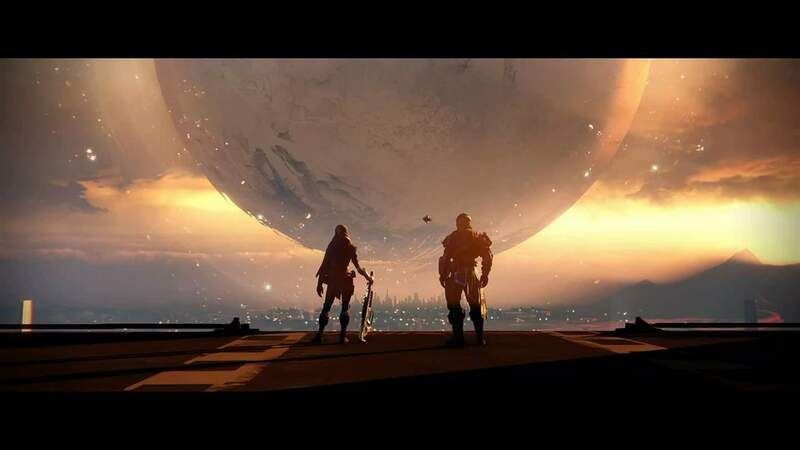 When the “AAA” behemoth of a game known as Destiny can’t include a proper in-game lore resource/menu (when it so desperately needs one), yet what can be argued as a throwaway, downloadable title such as Gauntlet incorporates such a feature, one must question, “What planet do we live on!?”. Point-and-click (“PnC”) adventure games have never been my forte, but I’ve always wanted to get explore the genre. As someone who grew-up playing more on their consoles than their PC (which is where the genre historically flourished), I never did quite get the opportunity to appreciate the scene. I decided a year or so ago to give Double Fine’s PnC games a shot, starting with Grim Fandango. Needless to say, I didn’t last very long as I quickly arrived at a puzzle I could not find the solution to. I refused to read a guide or look-up a hint because I feel like my enjoyment stems from figuring out the puzzles/solutions on my own. I dropped Grim Fandango shortly after and haven’t returned since, unfortunately. There is no logic present in this image. Only madness. 2017 has been my year, in-terms of games that have been speaking to my heart (and simultaneously draining my wallet). Earlier in my post, I mentioned such games like Gravity Rush 2, Nioh, and NIER: Automata, for example. These were all games I was extremely excited for, yet released during a period where I was too busy with work to properly enjoy. Now that my busy-season is over, I’m left with more disposable-time and a selection of awesome games! As someone who considers themselves a “gatherer” (not a “collector” for those are who are familiar with the 8-4 Play Podcast), I buy a decent amount of games and I intend to play everything I pick-up, regardless of how unrealistic of a venture that may be. Kat’s pondering which game I should focus on next. I’m often wrought with “choice-paralysis”, meaning, I have too many games begging for my attention which results in me staring at my digital/physical libraries, in some instances, for hours on end. When this instance occurs, I’ll either (a) end up taking a nap instead; (b) browse my phone or the internet; (c) end up buying more games; (d) go to the gym; (e) watch a movie/T.V. show; or (f) end up playing something I’ve already beaten/played before. It’s something that’s very real (and very first-world problem-ish) for those who have a broad taste in gaming. Regardless, I’m never without something to play, which is a good thing at the end of the day! Independent games have become more popular and normalized within the mainstream stratum with each passing year. What arguably started back during the Xbox 360-era with games like Braid, Super Meat Boy and FEZ, the Indy-scene has grown quite large (and very profitable). Some have grown tired of the 2D/pixel-art throwback games that have littered the landscape, and while I do echo this sentiment to some degree, there are always exceptions to the norm, two of which would be Studio Pixel’s Kero Blaster and Bombservice’s Momodora: Reverie Under the Moonlight. 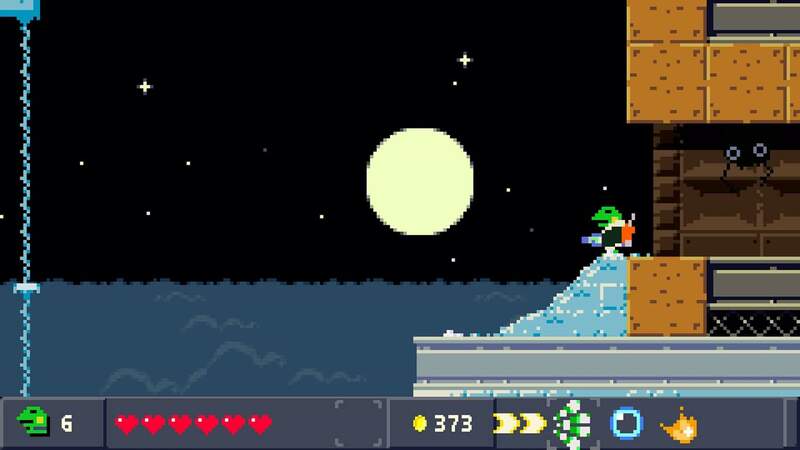 Kero Blaster: Reverie Under the Moonlight. The “Dark Souls” of “Metroidvanias”. Yeah, I said it. 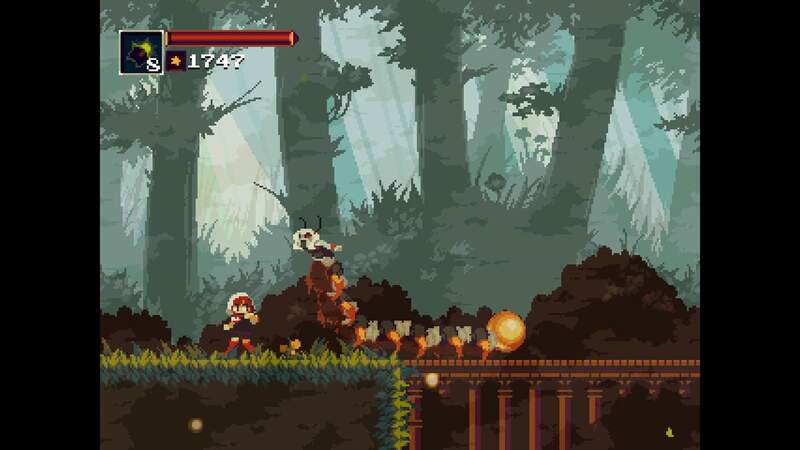 Momodora: Reverie Under the Moonlight (the 4th installment) is a 2D Metroid-like with a beautiful art-style and fantastic sprite-work. Metroid-inspired games are a dime a dozen nowadays, but more often than not, they completely miss the point and fail to capture the essence of what made Metroid great. Momodora IV is the exception to the rule, however. The game is so eloquently-designed and paced extremely well. The enemies and bosses are satisfying to fight and item placement is rewarding, too. 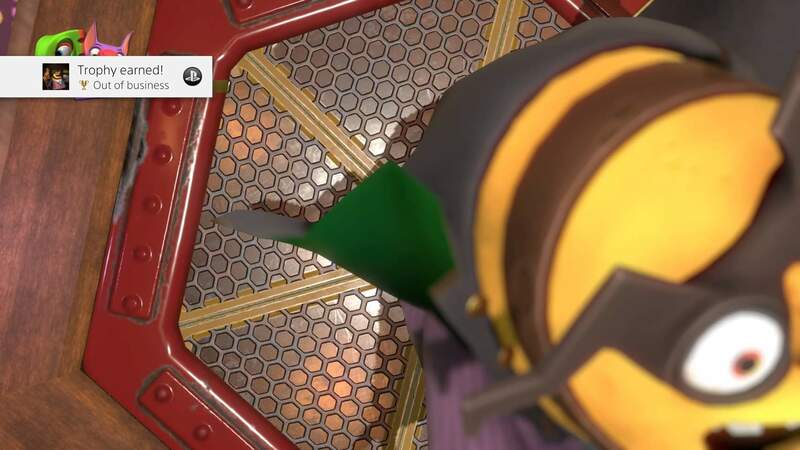 While the game is relatively short, there is a harder mode to unlock and challenging trophies/achievements to earn to extend the replay value. I cleared the game once on Hard mode with 99% Map Completion and I look forward to diving back into this game again soon to complete it at 100%. Highly recommended! 3D Indy-games are a rare commodity today. What can presumably be attributed to development costs, resources and talent/know-how, more often than not, aspiring developers have historically worked within the constraints of the 2D-realm. With user-friendly engines such as Unity and Unreal Engine 4 becoming more available/accessible, however, independent studios now have the opportunity to produce games beyond the retro-skinned tributes that have populated the landscape. 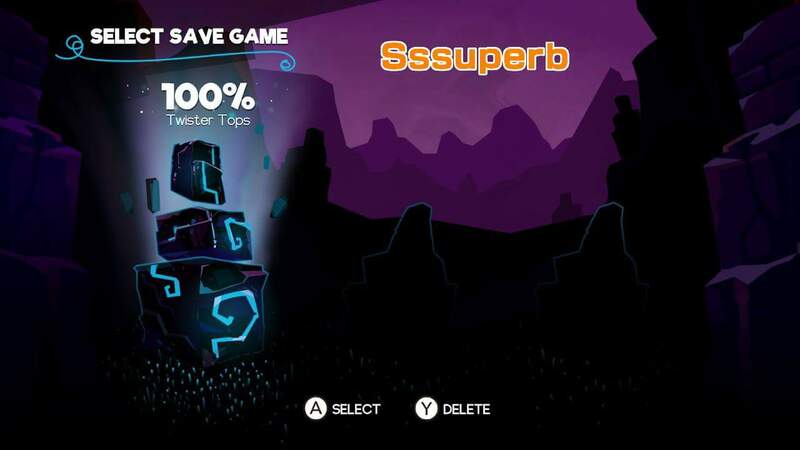 As someone who still enjoys 3D platformers today (despite the genre’s near-extinction over the past decade or so…), I had to check-out Right Nice Game’s Skylar & Plux: Adventure on Clover Island. 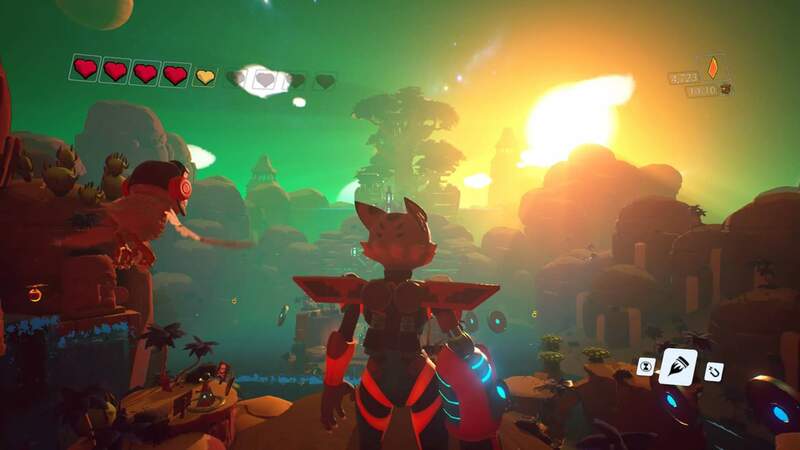 Skylar & Plux is a throwback to the PS2-era platformers (for better or worse). While games like Ratchet & Clank and Jak & Daxter are clearly the source of inspiration, I was also reminded of the mid-tier platformers that were often less talked-about from that period, such as Kya: Dark Lineage and Ruff Trigger: The Vanocore Conspiracy, for example. With the much anticipated Yooka-Laylee having finally launched, it’s difficult to recommend Skylar & Plux if you haven’t already experienced Playtonic’s adventure, however. That’s not to say Skylar & Plux isn’t worth playing, though. Skylar & Plux performs rather well on the PS4 and looks generally nice. 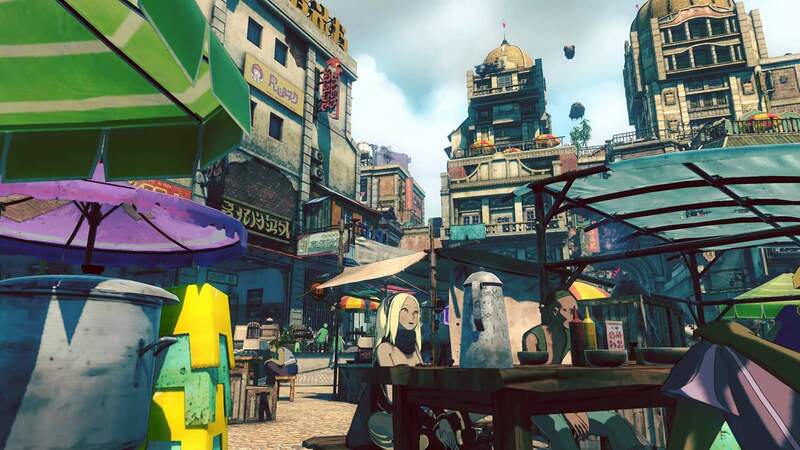 The art-style and environments are colorful and vibrant, too. Skylar runs, double jumps and punches her way through a series of platforming challenges/hazards across three distinct worlds. Over the course of the game, the robotic-cat gains new abilities which allow her to traverse new areas and solve environmental puzzles. The owl, however, doesn’t contribute anything worthwhile, other than annoy the player with his constant babble of the un-eventful happenings on Clover Island. Plux could have benefited from a more functional-approach (such as carrying Skylar across gaps, for example), but perhaps they’re saving their ideas for a sequel? Who knows. The anthropomorphic-duo don’t quite have any chemistry, either, as the awful script and terrible voice-acting kills any charm that may or may not have existed between the two. While this game may have been geared towards children, I can’t imagine any kid today thinking these characters were cool or funny, especially in our modern-age of Disney/Pixar films. So, who’s this game really for then? The 20/30-somethings who grew up with the genre? Maybe, but as someone who still enjoys platformers today, this game could have used an adjustment or two (such as opting for the Banjo-Kazooie style gibberish instead). Regardless, it’s a fun, rather short 2-5 hour adventure (depending on if you shoot for 100%) worth playing if you’re an enthusiast. Voodoo Vince was an oddball, B-tier 3D platformer developed by Beep Industries back in 2003 for the original Xbox. For its time, I quite enjoyed Voodoo Vince as it was a product of Microsoft’s more experimental and interesting, yet risky developmental-period. Mascot-driven platformers are a guilty pleasure of mine and Voodoo Vince certainly fit the bill. Fast forward nearly 15 years and Microsoft decides to re-release the game as Voodoo Vince: Remastered…yeah, that’s right, of all the games to receive an update, Voodoo Vince gets the HD treatment (Microsoft, while we’re at it, where’s our HD re-master for Blinx: The Time Sweeper?). Voodoo Vince is more or less how I remembered it, too. It’s a mediocre platformer which makes up for its shortcomings with its style, charm and soundtrack. The music is probably the most remarkable aspect of the game, however. Steve Kirk, the composer, provided a unique Jazz-influenced soundtrack and it’s appropriately fitting to the game’s setting (which also happens to take place in New Orleans). I’m currently a quarter way through the game (collecting everything I can, going for 100%, of course) and I look forward to revisiting this Mardi Gras from the past in the weeks to come! Candleman is a 3D platformer developed by Spotlightor Interactive, an independent studio based out of Beijing, China. The player takes on the role of a candlestick (yes, a walking candlestick, with legs…) who awakes in the bowels of a ship and becomes fixated on a lighthouse in the distance. The game consists of a series of short stages where the player must make their way through dark environments all the while lighting various (non-walking…) inanimate candles in order to reach the end of the level. Candleman is also very minimalistic in its story-telling approach, utilizing a poetic, fairy tale-like presentation, which suits the game very well. My biggest issue with the game is its checkpoint/lives-system, however. The stages are rather short, yet the player has 10 lives at their disposal (which is far too many, in my opinion). There’s also a checkpoint-candle placed in the middle of the stage and upon lighting the candle, the player will start from said location if they so happen to perish beyond that point. Aside from the various hazards and bottomless pits the player may succumb to, the candle itself can burn itself down to its stump if one lights the wick too many times. Often I found myself lighting my way through the dark environments in search of hidden candles and alternate paths, which led to numerous deaths. It’s a cool concept, but I would have preferred it if the candle’s wax was restored upon lighting a checkpoint. Punishing the player for exploring is never a good idea. Superhot is a strange one. It’s developed by, well…the Superhot Team (great name, right?). The best way to describe Superhot is if Killer7 was developed by an independent Polish team. On the surface, it’s an extremely confusing, yet super-stylized first-person shooter. The visuals are simple, yet contrast is used heavily in order to emphasize the action. The main draw of the game is a Max Payne-like time-bending mechanic which creates some interesting scenarios, however. Time moves when the player takes an action, so if you take a step, so will the enemy. When the player stops, everything comes to a halt, including the bullets that could be right in front of your face. It’s best to just play the game yourself, as it’s quite difficult to describe in words. I’ve finished the main “story” mode and have unlocked additional modes/challenges, so there’s quite a bit of content here if the core-mechanics resonate with you. I’ll certainly be coming back for more! Super. Hot. Killer 7’s long-lost Polish brother. Finally, there’s Yooka-Laylee, which was one of my most anticipated titles of the year. I backed this much anticipated “Rare-vival” for a pretty penny on Kickstarter, too. Did it live up to my expectations? Not quite… and although I’ve already completed the game on PS4, I picked-up any additional copy on Xbox One because but I wanted this game to do well. I believe Playtonic had its heart in the right place and they deserve another chance to develop a more polished, focused and realized experience. My thoughts on Yooka-Laylee haven’t really changed much since launch, however, more impressions on Playtonic’s blast-from-the-past at a later date. So, until next time, see you all at the end of Q2 with more impressions and thoughts on the games I’ve been playing! Just some guy who works in the financial services/hedge fund industry who would rather be talking & writing about video games. Next Post Yooka-Laylee: The Bear…er, Chameleon & Bat are back…I guess? Fighting the first valkyrie on Give Me God of War difficulty from the new God of War.